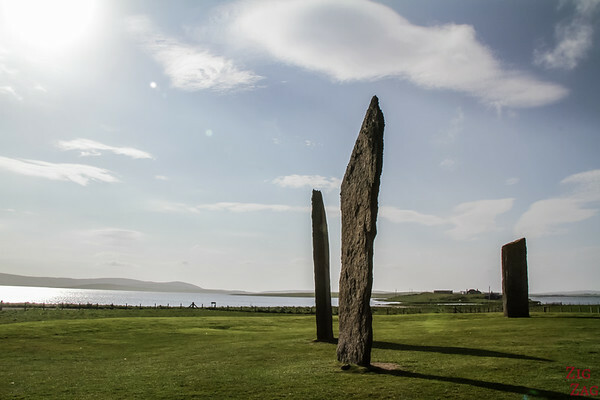 One of the earliest stone circles in Britain, the Standing Stones of Stenness Orkney are a major attraction in Scotland. 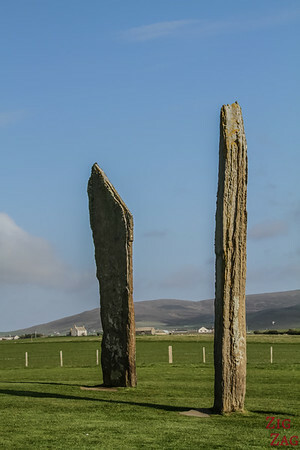 Towering up to 5.7 meters, the 4 remaining Stones transport you back in time. It is not difficult to imagine how significant the site must have been 5000 years ago. 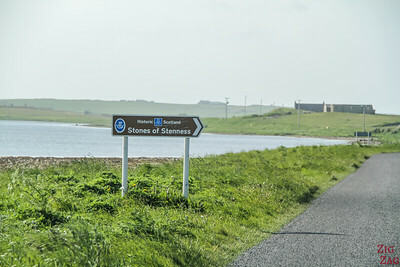 In the heart of the Mainland Orkney island, North of Scotland - the Ferry to Orkney takes 2 hours / 2h30 from Scrabster. Not far is also the neolithic Barnhouse settlement, but if you are limited in time, I recommend visiting Skara Brae. 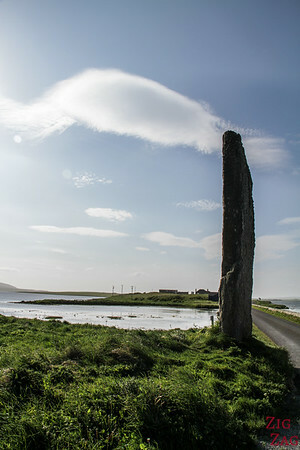 Before sharing pictures of the Standing Stones of Stenness, if you are driving from the Ring of Brodgar, you will see a single stone standing near the bridge. This is the Watch stone. 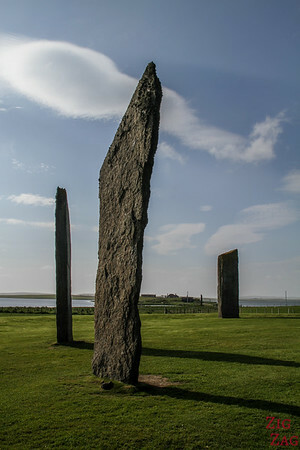 The Stenness Watchstone if 5.6m tall (18ft). Digging indicates that a second one use to be there. 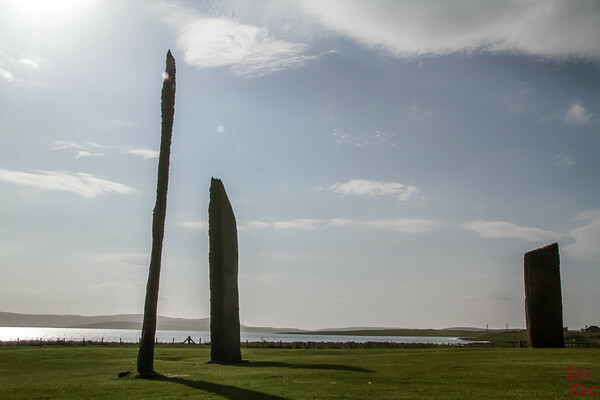 Located between Loch Stenness and Loch Harry, the sight of the Standing Stones of Stenness is quite different from the Ring of Brodgar. 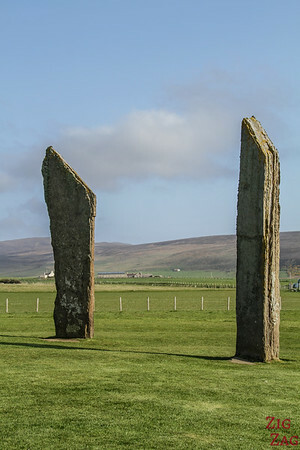 The area is quite fast and only 4 tall stones are still standing. You can see them from far away which makes them very impressive. 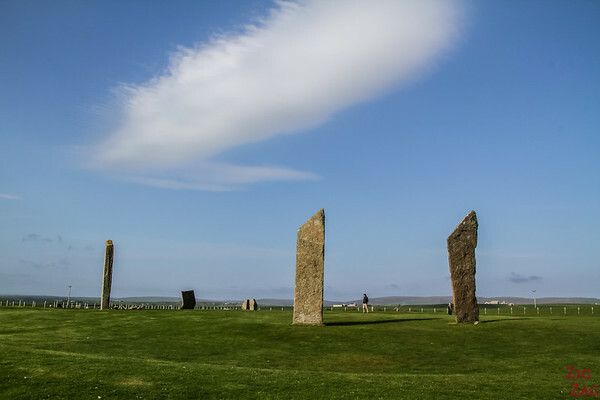 This is one of the earliest stone circles in Britain. 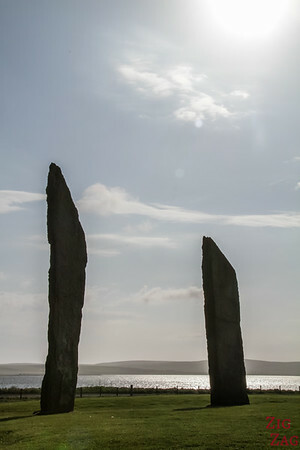 The stones were raised about 5000 years ago (3100 BC). 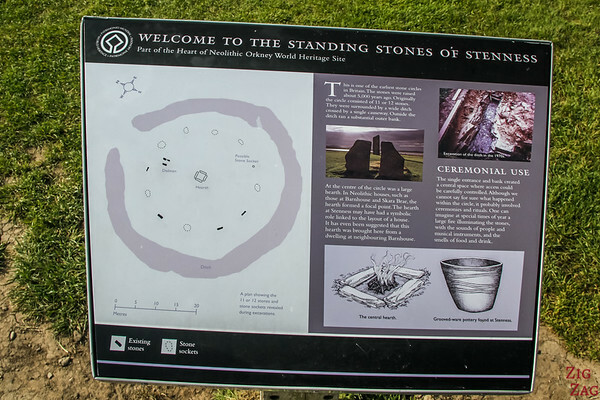 Originally the circle consisted of 11 or 12 stones surrounded by a wide ditch and crossed by a single causeway. They were laid out in an ellipse​. As you can see on the pictures the stones have sharp angles at the top. 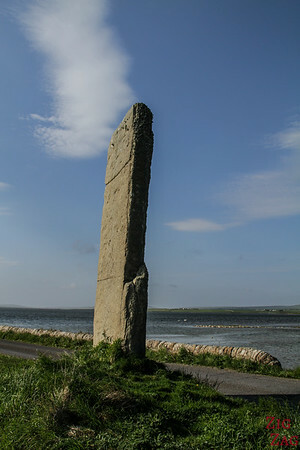 The tallest stone reaches 5.7 meters in height (19ft). 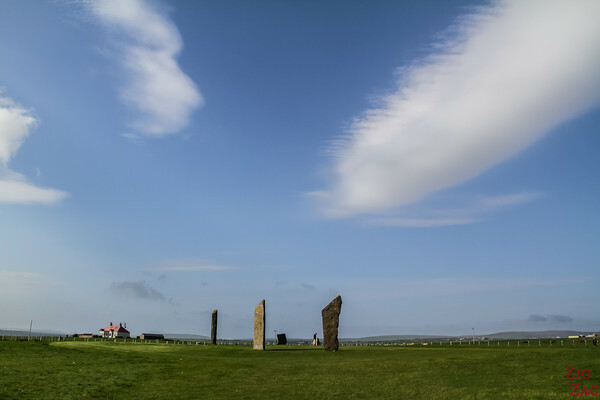 I must admit that even though there are only few of them and not a circle like the Ring of Brodgar, I was more fascinated by the Stones of Stenness. It is mostly due to their shapes, thickness and size. It is very impressive to get close to them. But look at the size of the people next to them! And just for the pleasure, here a a few more pictures where I tried playing with the sun. 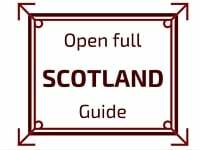 This location, along with many other beautiful places, is included in my eBook: The Road Trip Guide - Scotland. 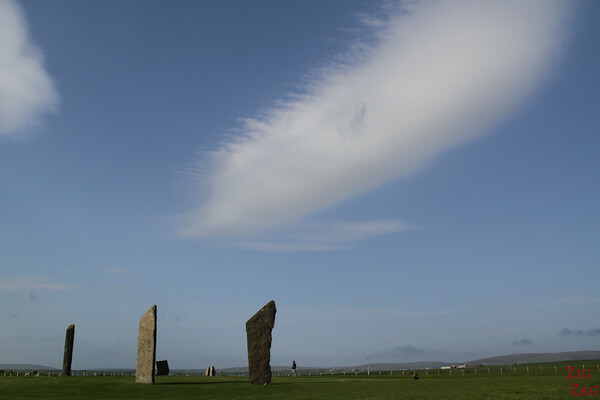 And let's finish with a shot video of the Standing Stones of Stenness Orkney. I wish you a great trip!